The Durango & Silverton Narrow Gauge railroad operates 45 miles of track originally comprising the Rio Grande's Silverton Branch. The branch was originally built as the final piece of the San Juan Extension in 1882. It carried supplies into and ore out of the booming mining town of Silverton, CO, connecting it back to the narrow gauge system at Durango. In 1967, shortly before the rest of the San Juan Extension was abandoned, the line itself became recognized as a National Historic Landmark. The route continued to be operated by the Rio Grande as Subdivision 12-B of the Alamosa or Colorado Divisions until 1981. At that point, Charles Bradshaw, Jr., purchased the branch to further its potential as a tourist attraction under the current name, the Durango & Silverton Narrow Gauge Railroad. In 1989, the line was again sold to First American Railways. In 1998, Allen Harper, then chairman of FAR, resigned and founded American Heritage Railways, which purchased the DSNG for $25 million (costs + assumed debt). American Heritage Railways and Al Harper continue to operate the line today. 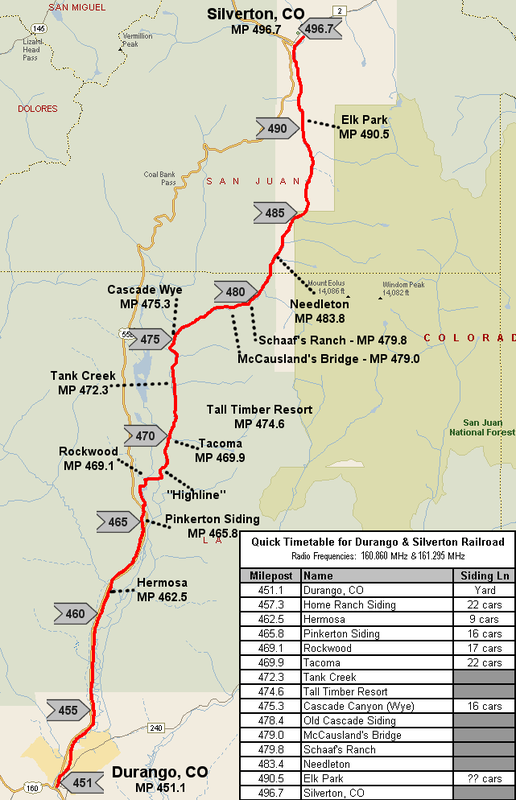 Of particular note is that the Silverton Branch is the only section of the narrow gauge San Juan Extension that has had continuous passenger service for its entire history (some 123 years), and one of only two sections remaining today. 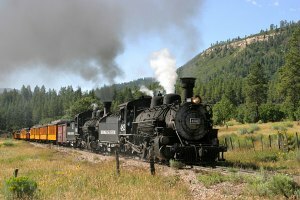 See a route map of the Durango & Silverton - helpful for riding or railfanning!